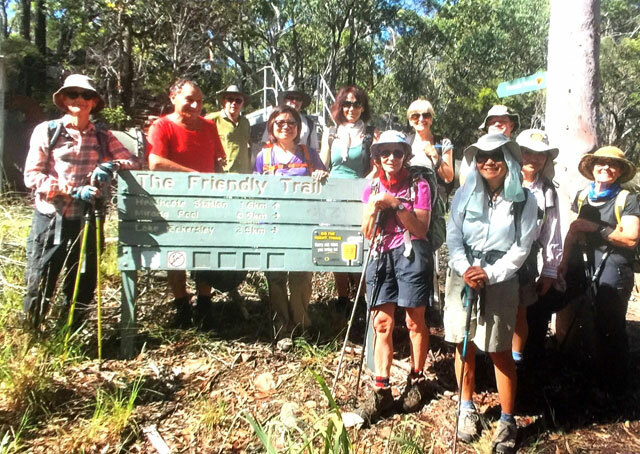 Starting at Heathcote station, we'll take a track, possibly via Garden of Eden to a fire trail and then over a small hill to the Woronora River and Boobera Pool. There are old signs of the 1930s nearby. We'll have time for a swim and a short relax before retracing our steps. It can be tiring in hot weather as the fire trail isn't shaded but the river water is good quality for swimming. Boobera Pool in Heathcote National Park has been on walker's to do lists even before 1932, when the then Rucksack Club visited. Bushwalking, and being in a club, was quite new in the 1930s. The old metal signs with holes spelling out that an old seat had been built there and subsequently replaced. 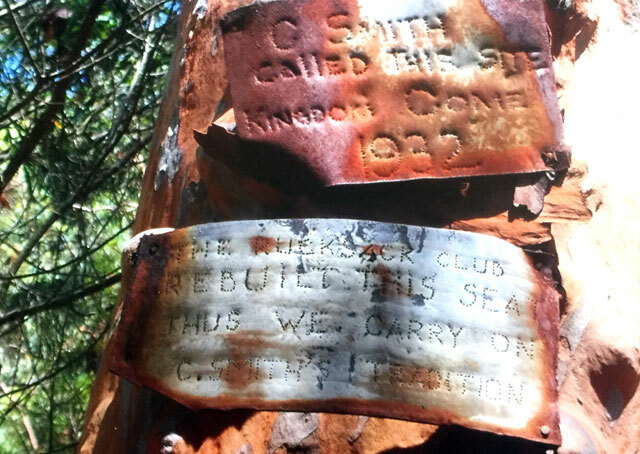 Another sign says that G. Smith called the site 'Kingdom Come'. I guess it may have a biblical connection as a place of beauty and peace. The day I took a group of 13 people to Boobera Pool it was warm to hot. I usually go through what I call The Garden of Eden, because of the valley all green, a creek and lots of Gymea lilies, then quite plain fire trail with some shade. Where the water pipeline goes on a bend under the road that's the time to go up and over a hill via a short track to the Woronora River. This section has three small, easy crossings. Immediately on the right you get a view of a large pool. A few metres along the bank you come to Kingdom Come. We spent an hour there, relaxing, swimming, whatever. The return was uneventful as all rested frequently and took in their water.